Our Tree Drives were a success! We are happy to announce that since the first tree drive which we launched in 2017, we have helped plant 148 trees! Tree donations are accepted throughout the year.Donors may choose a location close to their business or residence or let the city plant where the need is greatest. Each dedication tree is a tax-deductible $350 donation. All donations made with a credit card online will include a $10.50 service fee. Each donated tree will receive a tree watering bag to help ensure the survival of the new tree as well as a root barrier to protect the sidewalks from the tree's roots. We thank all of the generous tree donors who are helping to keep our urban canopy thriving for future generations. 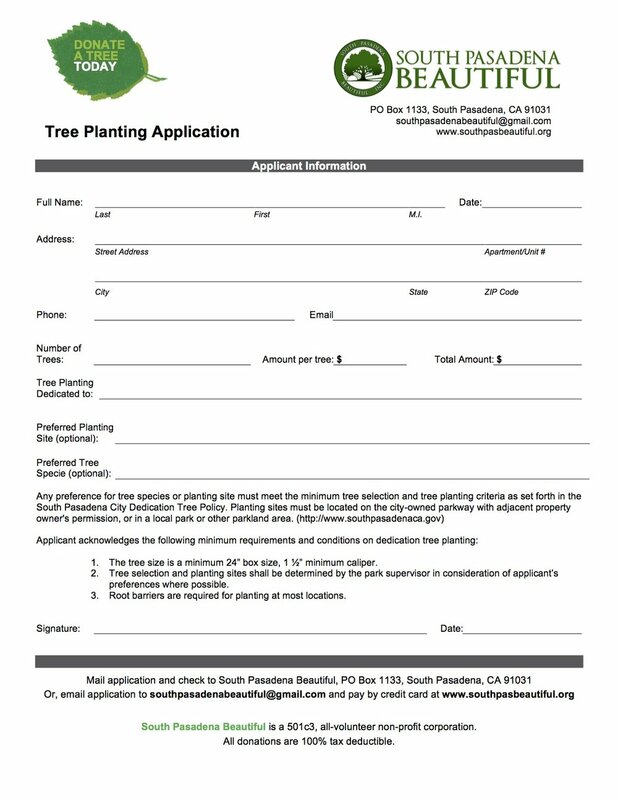 Print the application below and mail it in with a check for $350 payable to South Pasadena Beautiful, PO Box 1133 South Pasadena, CA 91031.